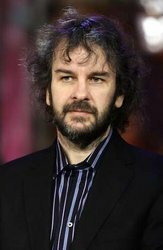 According to the New York Times, Peter Jackson’s deal to return to Middle Earth with The Hobbit films has been finalized. The other main issue, the financing between New Line and MGM, has apparently been fixed as well, leaving things pretty much wide open for a potential February start date. The only remaining hurdle is the ongoing dispute between unions and the production companies in New Zealand. So, if all goes well, we will be seeing this in 2012 and 2013 as predicted.